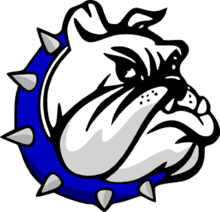 CRESTLINE — The Crestline Lady Bulldogs played host to the Mansfield Christian Lady Flames on Saturday, February 10 in Mid-Buckeye Conference girls hoops action. For the second time this season, the Lady ‘Dogs defeated the Flames, this time by a tally of 45-37. Crestline improves to 5-16 overall on the season and 2-7 within the MBC. Crestline would use a fast start to distance themselves from the visitors on Saturday, outscoring Mansfield Christian in the first; 17-4. In the second quarter, the Flames would outscore the hosts 11-6 to narrow the gap heading into halftime; 23-15. Both teams would manage 22 points in the second half, leading to the eight-point Lady Bulldogs victory. Lauryn Tadda posted another big game for Crestline, leading the team with 15 points while also grabbing 20 total rebounds (10O, 10D). Tadda also had two assists, three steals and the team’s only blocked shot. Kennedy Moore also poured in 15 points to go along with four rebounds and a steal. Other stats in the ‘Dogs victory were: Team- 16/47 from the interior, 2/17 from the perimeter, 7/17 at the free-throw line, 39 total rebounds (18O, 21D), 12 assists, 12 steals, 1 block and 12 turnovers; Lydia Tadda- 9 points, 3 rebounds, 6 assists, 4 steals; Bri Briggs- 3 points, 4 rebounds, 2 assists, 1 steal; Hannah Delong- 2 points, 1 steal; Daija Sewell- 1 point, 2 rebounds, 1 assist and Alandra Tesso- 6 rebounds, 1 assist, 2 steals. Just one regular season game remains for the Crestline Lady Bulldogs. On Thursday, February 15, they will travel to Kidron for a meeting with the Central Christian Lady Comets. The postseason tournament will begin for Crestline on Tuesday, February 20 when they head to Shelby for a neutral-site clash with their first-round opponent, the Mansfield Christian Lady Flames, at 6:15 p.m. The winner of that contest will advance to a matchup with the Buckeye Central Buckettes on Saturday, February 24 at 6 p.m., also at Shelby High School.